The Durham Bulls and Fox50 sponsor an Explorer Post, a Scouting program for teens who learn video production skills. Remarkably, they produce our TV broadcasts for MeTV (50.2 OTA and channels 196/1250 on Time Warner/Spectrum), MiLB TV and our in-park television. I contend that the kids get more experience during high school than they would receive in a college communications program! There's another aspect of our program that is "remarkable" - the adult volunteer who coordinates Post50. Ken Bland, a career SAS employee, is the founder and sustainer of our Post. He was recognized by Scouting this past Saturday with the Spurgeon Award, the highest recognition for contributions to Exploring. The President of the Southern Region Board of the Boy Scouts of America, Tom Yarboro, joined us for the presentation along with John Akerman, CEO of the Occoneechee Council. Please direct your attention to the field for a special presentation recognizing one of our own, Ken Bland, who is receiving the William H. Spurgeon III Award given by the Boy Scouts of America. The Spurgeon Award is presented to honor an outstanding volunteer leader with the Exploring program who exemplifies the values found in the Scout Oath. 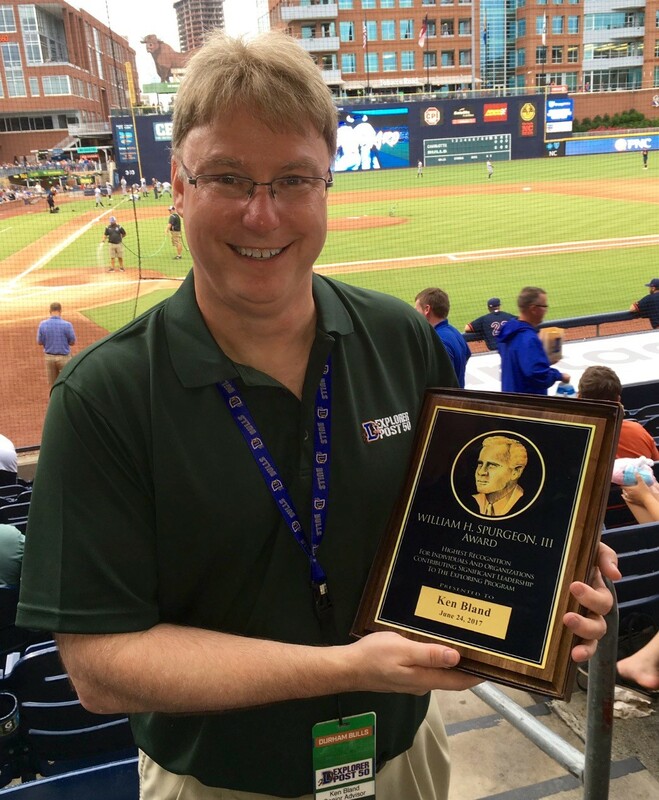 Ken was selected for his tremendous impact through Explorer Post 5 chartered to WRAL and Explorer Post 50 chartered to the Durham Bulls. Explorer Post 50 and Explorer Post 5 are youth-based television broadcasting programs that provide students ages 14-20 with the opportunity to gain experience in television broadcasting. 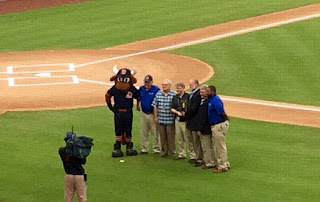 Under Ken’s leadership, WRAL’s Post 5 and the Durham Bulls' Post 50 have provided thousands of hands-on, real-world experiences for area high school and college students, which offers them a glimpse into the opportunities and challenges that exist in the field of broadcasting. 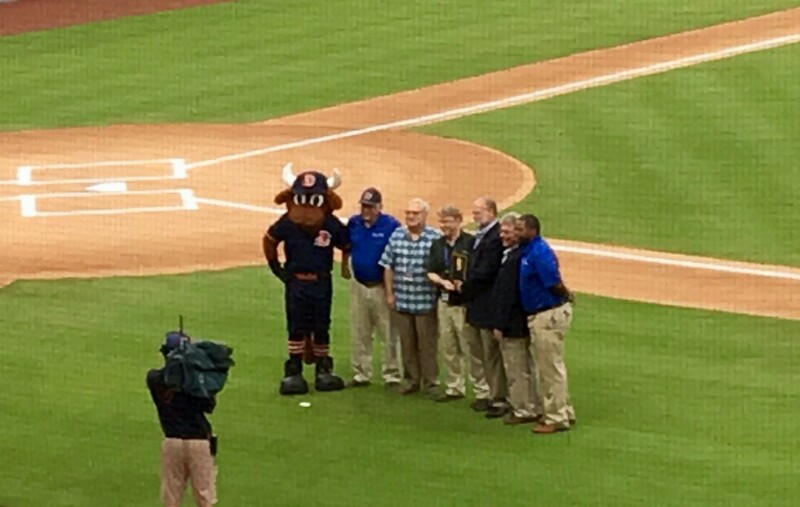 Ken has been instrumental in leading the Durham Bulls' Explorer Post 50 program, while serving as an advisor and mentor to WRAL’s Explorer Post 5 program participants for 30+ years. 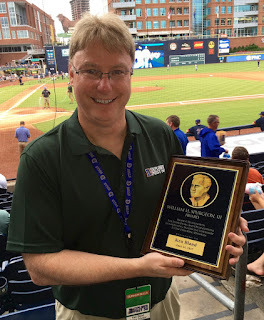 Through his many years of dedicated service, Ken has mentored young students each summer at Durham Bulls Athletic Park, giving Minor League Baseball's most iconic franchise one of the best television broadcasts in the industry. Please join the Durham Bulls in congratulating Ken for this well-deserved recognition. Ken, thank you for your continued support and leadership to both the Explorer Post 5 and Explorer Post 50 programs.